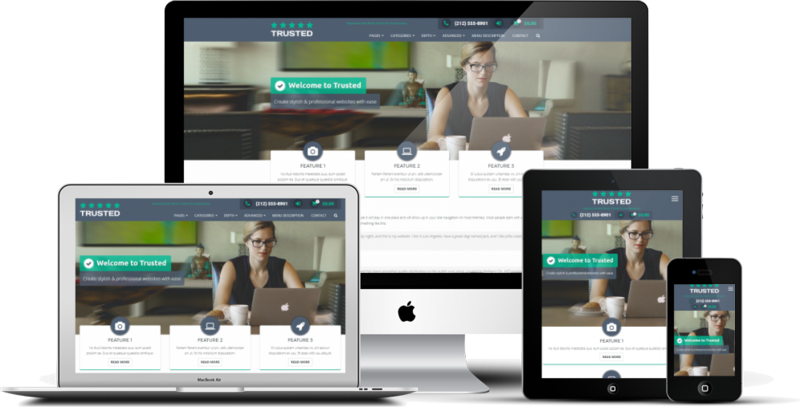 The Trusted theme is designed to be used by just about any type of website, from personal blogs to service based businesses and e-commerce stores. It can be customized quickly and easily using the customizer to preview your changes in real-time. Trusted is fast too and the homepage template allows you to show off your services and/or products to your website’s visitors. We designed Trusted to be especially easy to use with just the right amount of customization options. You won’t be overwhelmed with settings upon settings upon settings as Trusted works right-out-of-the-box and can be customized very quickly to give your WordPress blog, website or e-commerce store a distinctive and stylish design. The short video below shows just how quick and easy it is to change the main colors.